Russia’s leisure carrier Azur Air has increased its passenger traffic in the first five months of this year, in total serving 603 thousand passengers from January through May. This registers a 16% increase on last year’s numbers for the same period. This high growth is occurring despite a background of weak performance in the air passenger transport sector as a whole. This isn’t the first month in which the carrier registered growth. For January alone, for example, the airline showed even stronger growth, with a 103% increase of passenger traffic in that month over the previous year’s results. The airline, which now holds ninth place in the list of Russian air passenger carriers by traffic, actively flies to countries in Southeast Asia, India, and even carries out transatlantic flights to the Dominican Republic. The airline has also shown an increase in the number of routes to European and North African destinations. Earlier, Azur Air decided to begin operation of regular international flights, saying that these tours are a key part to any tour package. Before this, the airline operated only charter flights. The decision on the part of the airline to start a charter program in Russia comes as a response to the falling traffic on international routes and the growing popularity of domestic tourism. For the first four months of 2016, traffic on board Russian airlines decreased 3.8% to 22.486 million people, a result of falling demand for international routes, which saw a decrease of 22.9%. 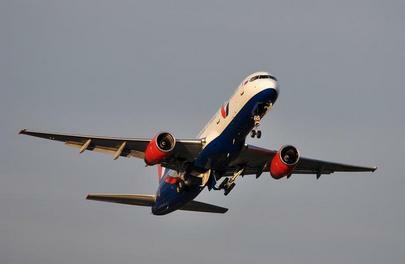 Domestic routes saw a traffic increase of 10.9%.